Part of our series on “Debating Judicial Power: Papers from the ALBA Summer Conference”. A pdf version of this post can be found here. These brief marginal comments on Dame Elisabeth Laing’s interesting, important, and enviably readable “shop floor” reflections in her lecture, “Two Cheers for Judicial Activism” [“Two Cheers”], will take up each of her three case-studies. Her first, Kleinwort Benson, is the richest and most complex (as befits private law and restitution in particular), but I will take the cases in reverse order: first Hardial Singh (public law: detention pending deportation), then Jogee (criminal law: liability of accessories), and then Kleinwort Benson. I leave it to any interested reader to tot up how many cheers this comment raises for judicial activism. Particularly valuable are the critical explanations in “Two Cheers” - of the “shop-floor” Administrative Court realities of applying Hardial Singh’s demand that detention pending deportation be “only for a reasonable period”. “The criterion of reasonableness, of course, sounds very reasonable. But when you start to think about it, you do wonder how a court is equipped to decide what period is reasonable, in anything other than the most arbitrary way” . as the power is given in order to enable the machinery of deportation to be carried out, I regard the power of detention as being impliedly limited to a period which is reasonably necessary for that purpose. The period which is reasonable will depend upon the circumstances of the particular case. What is more, if there is a situation where it is apparent to the Secretary of State that he is not going to be able to operate the machinery provided in the Act for removing persons who are intended to be deported within a reasonable period, it seems to me that it would be wrong for the Secretary of State to seek to exercise his power of detention. The slide is from what is reasonably necessary for the purpose of effecting removal, to what is (to paraphrase) “a reasonable period of detention in all the circumstances”. This last criterion means, and was always intended to mean, that a court can terminate the detention even though a longer period is needed to effect the purpose of removal. An authentic interpretation of the statutory power of detention “pending removal” (so far as bears on duration) would have demanded only that the Secretary of State genuinely have the purpose of removal and genuinely be pursuing it. Detention without that purpose and that pursuit of the purpose is unlawful; belief that the purpose can never be effected entails that the purpose is not genuinely being pursued. But belief that the purpose can be effected, albeit not now or soon or for an indefinitely long time, does enable the relevant officials to pursue the purpose genuinely (though it does not entail that they actually are doing so!). Purpose plus ongoing bona fide efforts to effect it should be the two criteria enforced by the Court. If this leads to detention for periods you think too long, you should – and powerful lobby groups will – ask the legislature to introduce appropriate qualifications and procedures to administer and apply them. Unhinged from purpose and efforts, we have the inescapable, permanent arbitrariness to which “Two Cheers” points, and along the way the confusions and errors of both the Government and the Law Lords in Belmarsh Prisoners, concerning Parliament’s efforts to work around the Hardial restrictions instead of scrutinizing and qualifying them expressly. So Hardial is a case of judicial activism but more importantly a use of sloppy reasoning to institute an excessive regime of insufficiently guided control, deploying a criterion too loosely related, if at all, to Wednesbury principles and even to proportionality. “Two Cheers”  applauds the intent of Jogee  UKSC 16 to ensure that courts, even the highest, should not go uncorrected when they “alter general principles which have stood for a long time”, by “the introduction of new doctrine”, especially doctrine widening liability in a subject as difficult and serious as homicide. The lecture eventually concludes  that, since the Supreme Court was right to hold that “the law did take a wrong turn” in Chan, that case – and not Jogee – was “a bad example of activism”. Thus more fully stated, the law on accessories has long, I fear, been near-identical to the law declared (in relation to partners in a joint enterprise) in Chan and overruled in Jogee. Matters hereabouts are too complex to unravel in these brief comments, but I think it is reasonable to conclude that Chan was not so much a wrong turn as an embarrassingly clear spotlight. What on? On a well- and widely-established tendency of the criminal law of D2’s secondary liability to jettison the requirement of intent (a requirement that holds good for principals, D1) so as to impose secondary liability (statutorily deemed to be principal liability) on a D2 who provides assistance (a) knowing that D1 may have criminal intent but either (b) “indifferent to” whether that intent of D1 does or does not, or will or will not, exist and be acted upon by D1, or (c) hoping and believing that D1 will most probably not have occasion to act on that criminal intent if he has it. In this longstanding tendency to deny that D2 need intend (even conditionally) that the crime be committed, and to impose on D2 secondary (but principal) liability for having foreseen that D1 may have such intent, the judges have been encouraged strongly by a current of academic opinion, or conceptualisation, sometimes firmly repudiated by appellate courts, but visible and operative in Sir Richard Buxton’s article. In this current, intent that is equated with desire [or wish] that. But the truth is that, while strongly desiring that D1 not commit crime A, D2 may nonetheless conditionally but really intend that, if circumstances (e.g. threats to D1’s or D2’s liberty or security) arise, D1 feel free to commit A. Neglect of conditional intent (admittedly a topic of some difficulty), and oscillation between desire/wish and foresight of certainty (or of “moral certainty”), have characterised English criminal-law doctrine, especially academic doctrine, for many decades, even perhaps centuries. Jogee is an admirably resolute judicial effort to break free, and I wish it fair wind. It is not so much activism as judicial rectification of judicial and academic muddle. This complex and difficult case occasioned a battle royal lasting several months in the Oxford Law Faculty in 1998-9. I am a veteran partisan of the majority Law Lords’ position and opponent of the minority whose views are favoured in “Two Cheers”. In relation to judicial activism, it is notable that the decision in Kleinwort Benson to overturn the 200-hundred year-old doctrine (or heresy) denying recovery of moneys paid under mistake of law was unanimous (cf ). “Two Cheers”  makes some searching and persuasive criticisms of the decision to use this litigation to make the change of doctrine, without found facts or enthusiastic opposition by counsel. If so, the minority are as much to blame. Where they differed from the majority was only about whether the “new” (or resolutely orthodox) rule allowing recovery for such mistake should be qualified so as to exclude recovery where the mistake was a settled legal-professional opinion. 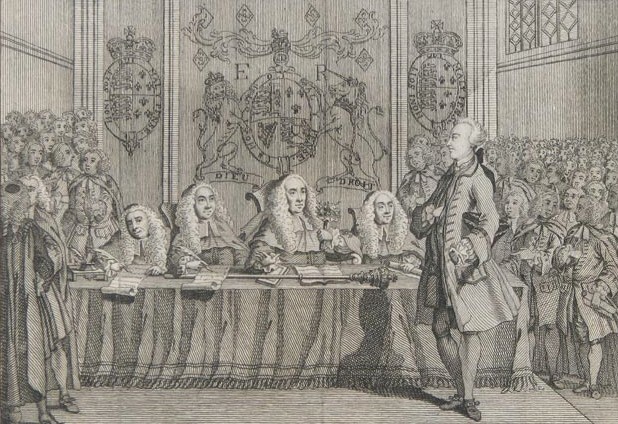 The minority Law Lords, like the majority Oxford restitution scholars, thought that such a mistake was not really one of law, but more a mistaken prediction of what the courts would in future decide. The majority Law Lords, in my view rightly, thought that any such qualification(s) should be left to legislation. Between 1982 and 1985, payments due under interest rate swap transactions had been made by the appellant plaintiff bank to the respondent councils, in the belief, shared by the parties and other participants in the capital markets, that such transactions were within the council’s authority. That belief’s correctness was questioned by the Audit Commission in 1987 and denied by the Divisional Court in 1989; by early 1991 the House of Lords [in Hazell v Hammersmith and Fulham London Borough Council  AC 1] had declared that such transactions were at all times ultra vires and void. It seems quite artificial to say, with Lord Browne-Wilkinson (paraphrased with approval in “Two Cheers” ): “Everyone thought that they were lawful; they made no mistake.” Should we not rather say, at most, that “everyone” was, for a short period, mistaken about the relevant law applicable to local government? “At most”, because isn’t it probable that some canny professionals – not perhaps among those advising parties keen to engage in swaps – were all along watching from the sidelines, with informed or well-reasoned legal doubts or objections that fairly soon reached the ears of the Audit Commission? Doesn’t it count for something that even the very first, shop-floor court to consider the problem (not to mention the appellate courts) didn’t make the mistake that “everyone” did? And would not the law as judicially determined have got into a hopeless tangle if it said to the parties in Hazell in 1992 “You were mistaken in thinking your transactions valid when in law they were void ab initio”, and then had turned round and said to the parties in Kleinwort Benson “Your transactions were of a kind void ab initio, as Hazell rightly decided, but you were not mistaken in thinking them valid when you entered on them”? More generally, every “Realist” attempt to reduce the propositional content of the law from “intra or ultra vires” and “valid or void” to “only a prediction about our judges’ prevalent future opinions” is, it seems to me, a long-term threat to the rule of law. The practical problems vividly and helpfully recounted – with empiricism but of course no naivety (cf. ) – in “Two Cheers” , -, are problems best handled, I suggest, not by tampering with law’s normative logic or virtuous and necessary retrospectivity, but by timely adjustments to, e.g., the Limitation Act. Such adjustments are of the kind better done with the guidance of Law Reform Commission green papers, consultation, white papers, more consultation, and so forth. John Finnis is FBA is Professor Emeritus of Law & Legal Philosophy at the University of Oxford and Biolchini Family Professor of Law in the University of Notre Dame. R v Governor of Durham Prison, ex p. Hardial Singh  1 WLR 704. I discuss the case and its successors (and its ramshackle US analogue and robust Australian judicial counter-position) down to 2008 in “Nationality and Alienage” in Human Rights and Common Good, vol. III of Collected Essays of John Finnis (OUP 2011) [CJEF III], 133-49 at 140-44. 1 WLR at 706 (emphases added). See “Nationality, Alienage and Constitutional Principle” 123 Law Quarterly Review (2007) 417-45, secs. V and VI; more fully (as to the Government’s errors in the litigation) “Judicial Power: Past, Present and Future” (2015) at https://judicialpowerproject.org.uk/john-finnis-judicial-power-past-present-and-future/; or at SSRN: papers.ssrn.com/abstract=2710880. Among the complexities is the obscurity introduced by the shady academic-doctrinal category “actus reus”. R v Nedrick  3 All ER 1 at 3–4 (CA per Lord Lane CJ); R v Hancock  1 All ER 641 at 645e (CA per Lord Lane CJ); 649, 651b (HL per Lord Scarman); R v Moloney  1 All ER 1025 at 1027f (Lord Hailsham), 1037c, 1038c–h (HL per Lord Bridge); A-G v Newspaper Publishing plc  3 All ER 276 at 304c (CA per Donaldson MR). Likewise Goff , ‘The Mental Element in the Crime of Murder’ at 42–3. And see qualifying second endnote at CEJF II, 196. E.g. at 328: “To intend the commission of the principal offence requires the accessory not merely to foresee but to wish for every element of that offence.” Or 330: “intention to assist the commission of the principal crime …. does not, or at least does not necessarily, require an intention or desire, as opposed to foresight, that the principal crime should actually be committed.” Buxton’s concern is that D2 be liable as accessory even if truly indifferent to whether or not the offence is committed – e.g letting to D1 knowing that he may use it as a brothel but not caring whether he does or instead uses it as a lawful residence. But distinguish two cases: (a) conditional intent, where D2 intends that, if the letting will not go ahead or the rent be paid unless there’s a brothel, then it should and will go ahead on that basis; (b) true indifference, where D2 believes the rent will be paid anyway (or does not need the rent or the foreseen services) and so has no even conditional intent. Case (a) is genuine accessory liability, on Jogee doctrine. Case (b) is not, but may well be appropriate matter for a special criminal offence of culpably doing an act with knowledge that it may have the effect of facilitating D1’s commission of crime A – an offence best introduced legislatively, I suspect. See “Conditional and Preparatory Intentions” in Intention and Identity, CEJF II, 220-34. Kleinwort Benson v Lincoln City Council  UKHL,  2 AC 349. “Adjudication and Legal Change” in Philosophy of Law, CEJF IV, 397-403; originally “The Fairy Tale’s Moral” LQR 115 (1999) 170-5. Indeed—and this is really the point [of the “declaratory theory”]—adjudication involves the duty not to declare and apply a rule unless it can fairly be said to have been all along a legally appropriate standard, more appropriate than alternatives, for assessing the validity and propriety of the parties’ transactions. When that can fairly be said, the same rule, having been declared and applied, is clearly the only legally appropriate standard for assessing the correctness of the parties’ belief in the legal validity and propriety of their transactions. And it will equally be the appropriate standard for judging correct or mistaken the similar belief of parties to legally similar transactions during the period stretching at least as far back as it would be reasonable to allow the results of completed but invalid or improper transactions to be disturbed. Of course, to show that parties made and received payments under such a mistaken belief is, as with any kind of mistake, only one step towards showing that retention of the payment would be unjust, by the standards of fairness enforced in the law of restitution. This further question of fairness further divided the minority from the majority in Kleinwort Benson, but cannot be taken up here.